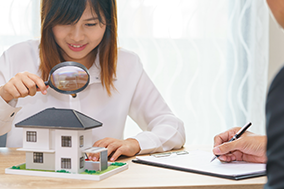 If you’re planning on putting your home on the market, you probably know the basics of what buyers want to see. Clean and uncluttered rooms. Comfortable living room. Functional and spacious kitchen. Bright, modern bathrooms. However, there are some things that today’s buyers are looking for that you might not have considered. • Smart storage space. Today’s buyers love to see organized closets, attractive shelving, storage nooks, built-in bookshelves, linen closets, and other storage options that are as functional as they are attractive. • Energy-efficient fixtures. Buyers are impressed by lighting that is good-looking but is also the latest in energy-efficiency. At the very least, energy-efficient bulbs and table lamps are a good idea. Solar-powered soft lighting in the garden, or on the deck or patio, will impress many. • Modern appliances. Buyers will notice kitchen and laundry room appliances that are modern and energy-efficient. In fact, according to a survey, 36% of buyers consider Energy Star rated appliances to be “essential”. • Work spaces. Home offices are in demand. Buyers will notice if there is a work area that is functional and attractive, even in the corner of the living room. • Outdoor living space. If you have a deck or patio, buyers love to see it well furnished and inviting – even if the outdoor furnishings don’t come with the home! Buyers will at least see the potential. Of course, your home doesn’t need to have all these features. Having some will help your home sell faster and for a better price. Want more tips? Call today.